Students will be able to sound out, write, and recognise the letter b. Ask students to think about the alphabet. Have them share what they know about the alphabet with a partner. Show the Sesame Street letter of the day clip to the class. Explain that today you will be learning about one of the first letters of the alphabet, the letter B. Tell the students that there are 26 letters that we use to read and write words, when we put the letters together in a certain order we call this the Alphabet. Explain that each of the letters in the alphabet make a special sound and we use that sound when we read and write words. Write the letter B on the board and explain that today students will learn about the second letter in the alphabet, the letter B! Say the letter B sound aloud and name a few B words for the students to hear it used in a few different words. Explain that in the alphabet, each letter has an uppercase and lowercase way to write it, or a big/little way to write the letter. Demonstrate how to write both the upper and lowercase B. Invite students to practise drawing the uppercase letter B in the air with their fingers, then have them trace the uppercase letter B onto the rug or floor. Repeat with the lowercase letter B. * Have students turn and talk to a partner to share words that start with the B sound. 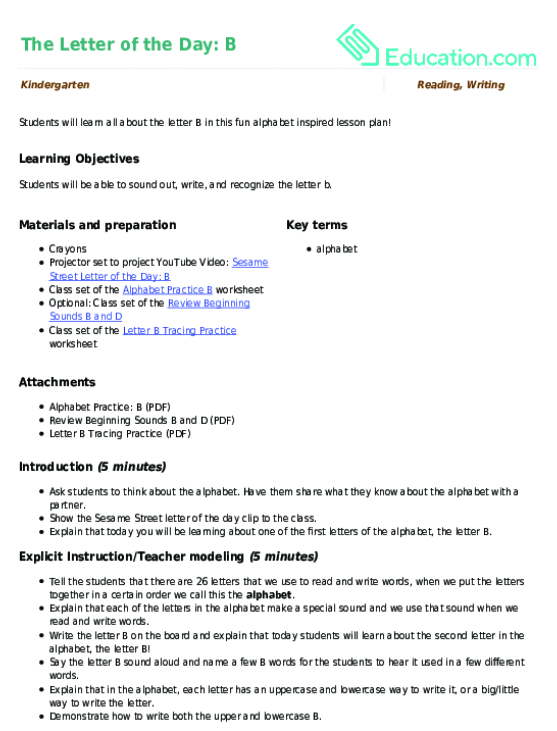 Record the words and draw small accompanying pictures on chart paper for students to reference later in the lesson. 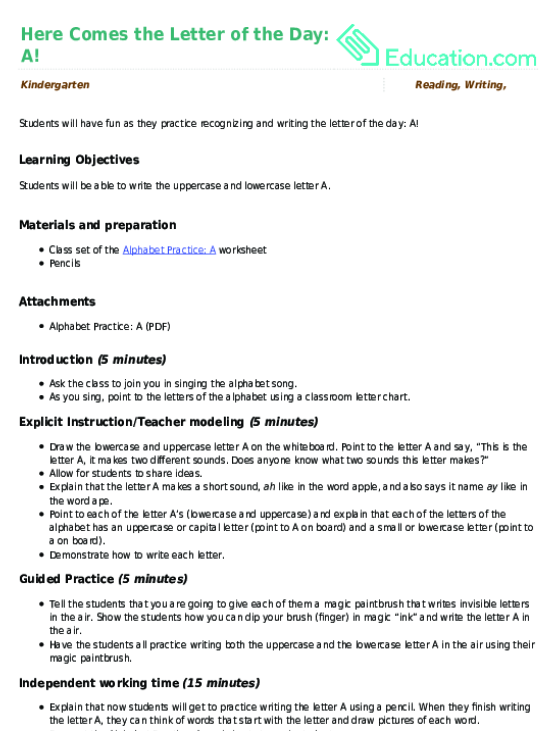 Pass out the Alphabet practise B worksheet and have students practise writing the letter B. Have students turn the papers over and draw five things that start with B. 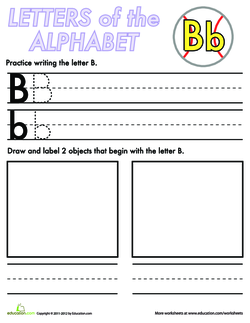 Provide students with objects that begin with the letter B. 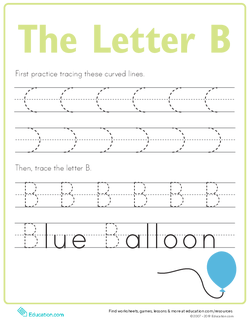 Have them practise tracing the letter B using the Letter B Tracing practise. Encourage students to utilize the class B chart when thinking of words that begin with the letter B. Have students draw pictures of 10 things that begin with the letter B. 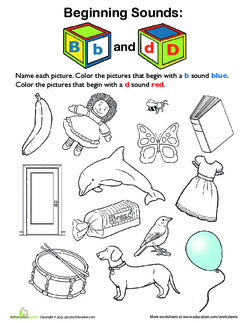 For students who finish early, have them complete the Review Beginning Sounds B and D worksheet. 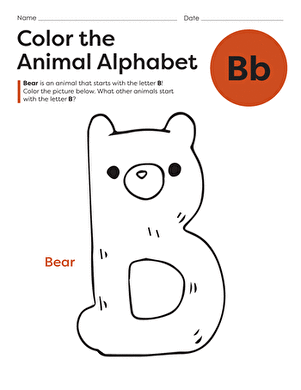 Assess how students are writing the upper and lowercase letter B and coming up with words that start with B. As a class, go over the B words that students came up. Add the new words to the classroom anchor chart. 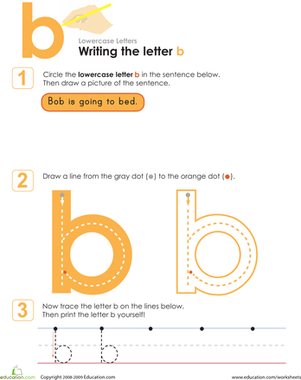 This printable will help him with the letter B. The first step in learning to read and write is learning the different letter sounds. 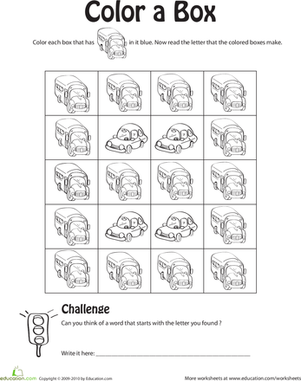 This worksheet focuses on the letter B sound. All about the "B"utiful butterfly! Use this kinesthetic and creative lesson about the butterfly to focus on the letter B. 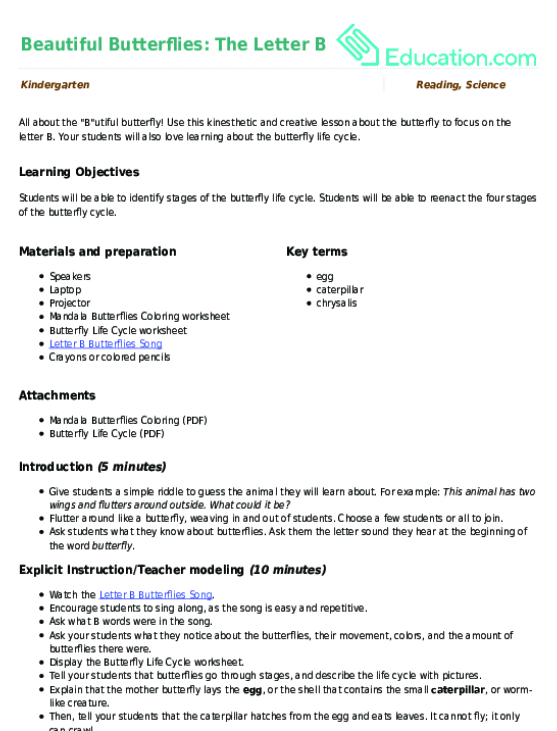 Your students will also love learning about the butterfly life cycle. 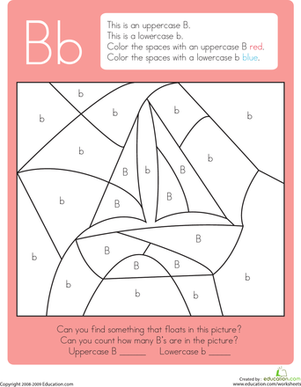 This colour by letter exercise featuring the letter B is sure to float your kid's boat! 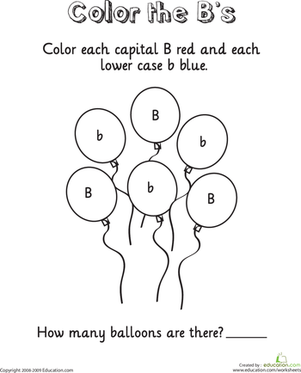 Kids colour the capital and lowercase B's to reveal the hidden picture.